Not many people are fortunate enough to find their dream job right out the gate. For those of you who have, congrats! For those of us who haven’t been able to find that dream job (yet) we know how important our resumes are. 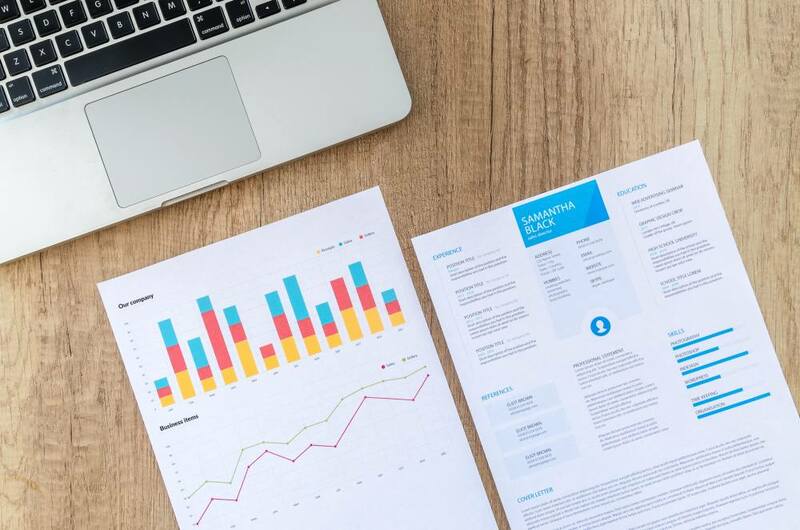 However, as potential employees, sometimes it’s easy to overlook exactly how important having an updated and professional resume is. Most of my career has consisted of jobs based on necessity, and not for actual professional growth. From managing a family-owned McDonald’s, to being head of housekeeping and working front desk at a local hotel, to managing a local golf store, and working sales for a very competitive yet non-rewarding company; I finally realized that to break my own mold, I needed a new outlook on my resume. I wasn’t sure how I got any of the positions aforementioned because when I look back at my old resume I can’t help but laugh. Other than my picture at the top of the page there was nothing that set me higher than my competition. My single page resume started out with my normal contact information and after that…blah blah blah. You can always tell when you’re not truly happy at a prior or current position when you have to scrounge for any sort of verbiage describing what you actually do there. What’s worse is when you resort to simply listing the social clubs and activities you’re a part of. After realizing how miserable, albeit great, I was at a sales position nearly two years ago I knew it was time to dig up the relic of my first resume that I had added and made it a priority to make it shine, in order to help me find a position that I would truly be happy at. After a serious sit down with some friends in higher-up places, my resume was sparkling and I was able to land my potential career job at Horizon Credit Union as a Digital Marketing Specialist. This was a field in an industry I had never considered and virtually had no clue what I was initially doing, but thankfully my team is more of a family and I couldn’t be happier working on the cutting edge to deliver the best possible member experience through our digital app and growing organically throughout the three states we serve. Another important reason to update your resume is that it’s your first impression with the company you’re applying to. Different industries and positions vary when it comes to resumes, but if the people in charge of hiring you don’t get the initial feeling they want to meet you based on your resume alone, then you’re not getting in the door unless you know someone who knows someone. Now that the why is in mind, how do you actually update your resume? Aside from the hundreds of thousands of websites dedicated to helping you groom and build a pristine resume, the question you need to ask yourself is what looks and feels like you on paper? Consider adding more quantitative measures than qualitative to ensure the most direct effect on your resume. Something as simple as putting community outreach as job requirement and allowing an interviewer to ask you to elaborate on what that means. Give a broad but precise overview of what your prior positions entailed. If you were a manager don’t put the usual, “lead a small team of sales associates.” Elaborate but still maintain simplicity, “Managed and trained small sales teams,” and “managed inventory and custom orders.” All of these things can put you ahead of your competition and allow your foot in the door. You can put any personal quality or interaction onto a resume, which is why getting out of your comfort level and trying new things like volunteering and joining committees can help you network and grow in areas that you didn’t know you were capable of! Which is why if you haven’t thought about joining the Spark Award Committee, then you should! It’s a great opportunity to gain some committee and event experience. Please contact trisha@trishabruininks.com for more details!